Catheters are medical instruments that are commonly used when a patient is unable to empty his or her bladder. If urine is allowed to build up in the patient’s bladder for a long time, the rising pressure in the kidneys can lead to kidney failure. The elderly people and patients with severe illness or injuries might need to use catheters for longer periods of time than common patients who regain their ability to urinate on their own in the course of time. Numerous health issues can be responsible for the need for urological catheters. Some of these are kidney stones, enlargement or surgery of the prostate gland, spinal cord injury, injury of the nerves of the bladder, and surgery in the genital area including hysterectomy and hip fracture repair. By type of material used, the global urological catheters market can be segmented into silicone, rubber, latex, and plastic. In May 2017, a trailblazing catheter insertion kit for safer introduction of a Foley catheter was revealed at the American Urology Association (AUA). The system facilitates a one tract entry providing clinicians more control, precision, and accuracy while placing it into the bladder. The treatment time has been reduced from 2.3 days to 29 minutes by virtue of the time-saving features of this technique. As a result, significant savings can be made with regards to resources and money as well. The introduction of similar technologies that cause minimal tissue damage and trauma among patients will pave the way for the further growth of the urological catheters market. Urological catheters are thin tubes that are used for draining the urine from bladder via the urethra or through the surgical hole in the abdomen and is eventually collected in a drainage bag. These catheters are made up of latex with balloon at the tip. The size of the catheters depend on the size of the balloon which is likely to be filled with sterile water. There are two different types of catheters according the method of insertion – catheters which are injected through the urethra are termed as urethral catheters and the ones which are inserted via surgical abdominal hole are called suprapubic catheters. The various conditions in which catheters are used include strictures, incontinence, prostate enlargement, late stage pregnancy and child birth, severe cases of kidney stones, and other surgeries of the urological system. 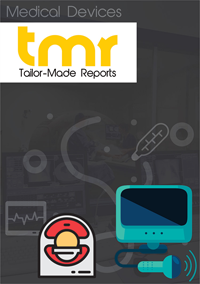 This industry research report is a brief review of the growth trail in terms of current, historical, and future scenarios of the global urological catheters market. It offers an evaluation of the aspects that are expected to influence the development of the market and the primary trends have also been specified in the research study. The research study also offers a broad lookout on the vendor landscape of the market through Porter’s five forces analysis. The research publication provides references of mergers and acquisitions, the research and development activities, specifics on licensing and collaborations. The report probes into the strategies related to marketing, shares, and product portfolio of the key participants in the global urological catheters market. A study published by Center for Disease Control and Prevention in 2011 stated that one out of every ten American adults have some level of chronic kidney disease. The increasing types of birth control medication, changing food habits, growing occurrences of urinary tract infection, mounting number of prostate, and other urology related cancer are driving the demand for urological catheters. At the same time infections related to catheters, skills required to put on catheters, and other risks associated with it is inhibiting physicians and urologists to use catheters. Considering the effects of drivers and restraints of the catheters usage in healthcare industry, catheter demand is increasing at noteworthy rate and is expected to grow considerably in future as well. Region-wise, the global urological catheters market is segmented into North America, Europe, Asia-Pacific, and the Rest of the World. Among these, the revenue contribution from North America is significantly high closely trailed by Europe, and Asia-Pacific. Increasing awareness among the healthcare fraternity, growing urological complications, and better care facilities in North American and European countries may help supporting the growth of the urological catheters market in these regions. On the other hand increasing population, growing healthcare penetration, and growing awareness in Asia-Pacific and other market, demand for urological catheters will increase substantially. The leading companies in the market are Bard Medical, Rochester Medical, ABC Medical, CCS Medical, and Rusch, UroMed.